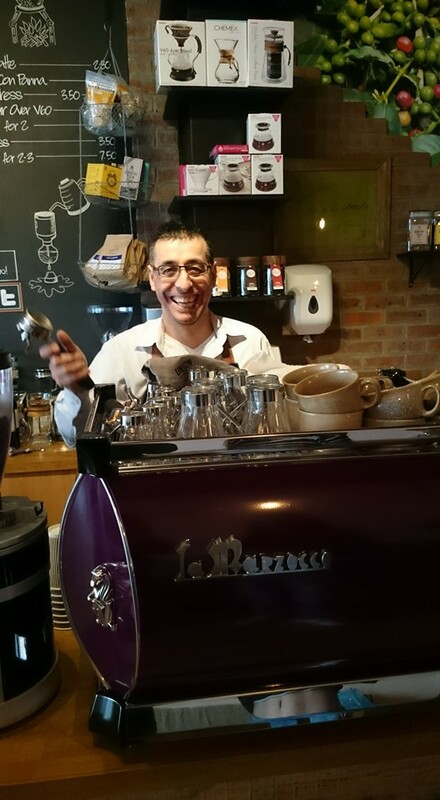 I interviewed coffee expert Ender Turan about his life journey from rural Kurdistan to managing ‘Epicure’, a popular café in Berkhamsted, UK. Leslie: Where did the idea of a coffee shop first come from? How far back does your interest go? Ender: The idea began when I was young, living in Kurdistan. Let me explain… I was brought up as an Alevi, a traditional way of life in Western Anatolia. It’s one of the two main Kurdish groups. So I was raised in a self-sufficient farming village where men and women shared things and worked together. I don’t recall money in our village – instead people would exchange animals for crops and vice versa. It was a close, caring community. If anyone wasn’t self-sufficient they would be given food and other necessaries to live on. I was the 16th child of an extended family. I particularly remember my grandad’s stick and long white beard. But most of all I remember him as the coffee man. He’d been a travelling salesman and when people passed through our village he might already know them, but even if he didn’t, they were directed to stay at our ‘open house’. In a way we were the village hotel, but free and friendly and a place where my grandad served his green coffee – bought as the stones of coffee berries and roasted to a rich, tasty brown brew. At the age of eleven I went to live in Istanbul with my brother, who I still see as my substitute father, even though my brother died before he reached middle age. I went to Istanbul because my primary education in a small village school meant that all the children from years one to five were taught together in a class of about twenty pupils. Not only that, but we were instructed in Turkish and punished if we used the Kurdish language we spoke at home. My move to Istanbul was so I could go to a large secondary school and broaden my education, even though the suppression of my own language meant that at first I had to repeat a year. Eventually the move paid off and I went to college, learning hotel and hospitality skills. 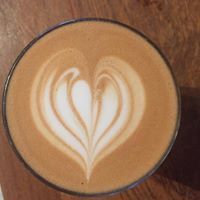 While I was at school, from the age of thirteen onwards, I worked in the evenings in my brother’s restaurant serving, amongst other things, coffee. Leslie: So what goes into the high-quality coffee you now serve at ‘Epicure’? Ender: I’d say there are three things – best quality coffee beans, good machinery and highly-skilled baristas. It takes all these factors working together to make a really good cup of coffee. So, to take them in order – I learned, while working at Starbucks, that Union Coffee supply some of the best beans. I also researched coffee and I still go to coffee festivals trying to source the best ingredients and techniques. Union Coffee also provide most of our equipment. The third element, the baristas, need to be outgoing people with a passion for coffee who take a real interest in customers. Leslie: Watching what happens in most coffee shops, do the baristas also need to be agile and fast-moving? Ender: Yes and no. They have to give rapid service, of course, but when making the coffee they need to take care and go for quality and consistency over speed. Patience is essential when you’re aiming at perfect coffee. Leslie: Tell me about initial the work that went into setting up ‘Epicure’. Ender: I came to Berkhamsted because, unlike London at the time, it had property I could afford. The shop was on a short lease and had been selling shoes. Everything – just everything – had to be remodelled. 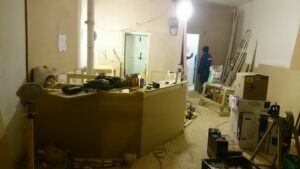 I worked with a builder to fit new wooden floors, repaint walls, repoint interior brickwork, put up a partition, change the lighting, install a serving bar, benches, seats, kitchen equipment – all of which had to be sourced and in some cases needed local authority permission. We did it all and were up and running in three months! Leslie: So would you like to take up the Istanbul story from the point where you finished at college? Ender: After Istanbul I came to London to work in hotels and improve my English. I went to university and finished my High National Degree in Catering and Hospitality. I worked in well-known hotels in Knightsbridge and Sloane Street before completing three years at Starbucks and eventually moving to Berkhamsted and opening ‘Epicure’. 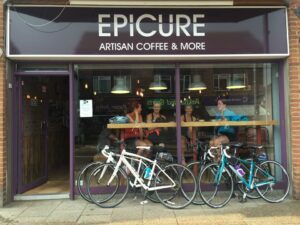 Leslie: Because you talk to all your customers and their children ‘Epicure’ is a particularly warm and welcoming café, where differences are respected and people make friends. Would you say your customers are ‘your Anatolian family’? Ender: To some extent, yes. Alevi culture is known for its openness, warmth, family values and hospitality. There is an inbuilt respect for other people in our culture. An Alevi saying is ‘Eline, diline & belind sahipol’. Translated literally it mean ‘Look after your hand, tongue and back’ – meaning ‘take care over your actions, words and how you behave sexually’. When there are family disputes there are baglama-playing wise old men who will work out a solution. Sadly though, many of these traditions are being lost as the society has become more money-orientated and individualistic. The self-sufficient farms have disappeared and young people are leaving the area to follow a dream of ‘bettering themselves’. Leslie: So how do you find the living in the UK? Have you experienced prejudice because you come from another country? Ender: I love England for its freedoms, its systems and the degree of respect for people that still exists – maybe less than before, but there’s still a tolerant side to British culture. As for prejudice or racism, let me give you an example. I remember an English friend I was helping complaining in front of me about ‘bloody foreigners taking over the country’. This was because a shop assistant was Asian. I was shocked but when I reminded him gently that his partner and I were both ‘bloody foreigners’ he laughed, admitting he was wrong. I tell that story because I believe people often make prejudiced judgments through lack of understanding, rather than rooted racism. Leslie: One last question. I’m told your name has a meaning. What is it please? Ender: Ah, I think you found that out from one of my baristas. Well, I have to tell you it’s perfectly true, my name does have a meaning. Ender means ‘rare’. Next week Emily Midorikawa, winner of the Lucy Cavendish Fiction Prize, and Emma Claire Sweeney, author of the award-winning novel Owl Song at Dawn. guest blog about how they wrote a joint book: A Secret Sisterhood: The hidden friendships of Austen, Brontë, Eliot and Woolf.